An island paradise where something in the air seems to stop people driving like arses – and very accessible to the central belt (without needing to drive) as a bonus! 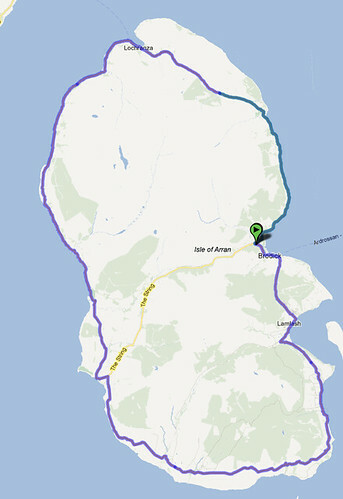 Enjoying fast roads in fantastic isolation west of Lochranza! 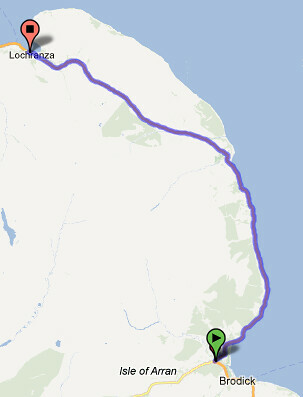 Ardrossan is 40 minutes from Glasgow Central by train, and the ferry crossing takes under an hour. 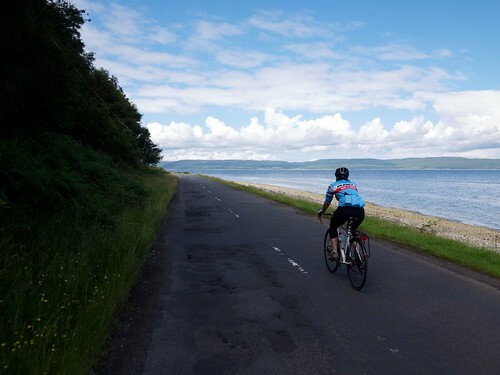 From Brodick, the road is completely flat all the way to Lochranza, with the small exception of the 200m climb just before the village – fortunately this is a long spin rather than a steep effort, and while the surfacing is excellent, there’s also plenty of room (and visibility) for overtaking. Sandy beaches, blue seas, fair surfacing and almost pan flat, this is a lovely section whether you’re touring or training. After Blackwaterfoot, the road starts to roll, although there are no serious climbs – perhaps a couple of short sharp ones though! Although there’s more habitation this section is still quiet, and now boasts some pleasant views over a more rugged coastline. Two hills separate Whiting Bay and Brodick – unfortunately winching your way up these is also the section of road on the island where you’re most likely to encounter traffic, but if you avoid rush hour (or riding out in front of the ferry traffic) we’re still talking about a pretty agreeable section. Neither hill is particularly steep or long – between them, ~200m of ascent over ~5km, for an average of 4% gradient. There’s at least one good cafe in Lamlash if you want to fuel up before the dash for the boat! Looks like a great ride in a beautiful place. My favorite thing about bike blogs is seeing the different places people ride. Thanks for sharing! That sounds like a terrific ride Dave. I’m soon returning to the Clyde after four years on the South coast and will certainly be adding a loop of Arran to my list of rides. Brings back many happy memories. The first time I did the ride I was 13 and rode a hired shopper with a 3-speed! Last July my son came over from Sydney and so Nick, Taylor (other son) and I rode from Brodick over the String and round to Lochranza then Brodick. Fabulous day. Nick fell in love with Scotland all over again! Thanks John. 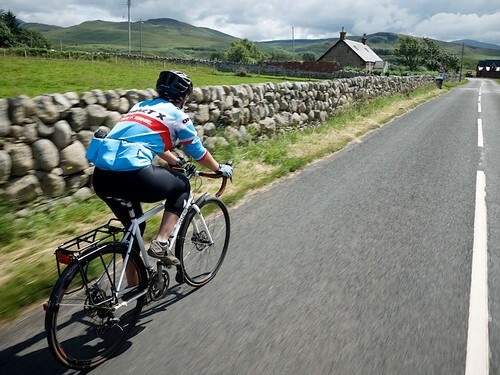 It is an excellent ride – I’ll need to get back there soon! You can just about do it by train from Edinburgh I think. 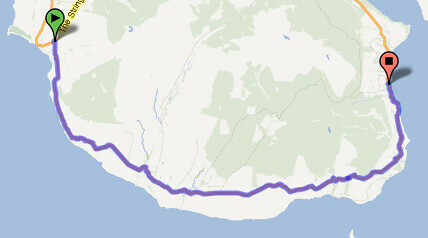 I’m doing this ride in March for charity. 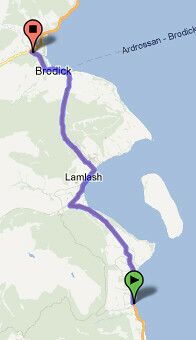 I was going to go left from Brodick and get the hills completed early. Good idea or not?? Is this ride suitable for a 7 year old? Hey Lauren. I would have thought it’s quite a long day out for a seven year old, but maybe. Certainly there’s hardly any traffic etc.